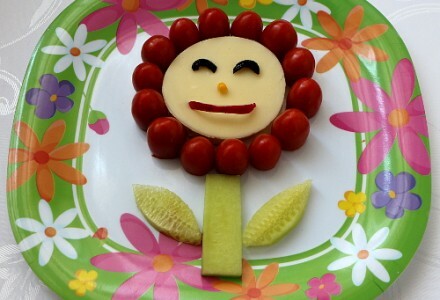 Cute flower shaped sandwich, made of bread, cheese, tomatoes, cucumber, radish and olive. It is a great idea for spring or summer time and kids can help in the preparation. 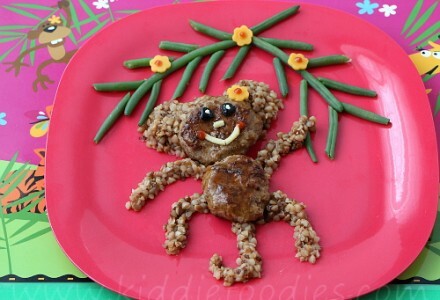 Monkey shaped meal for kids, both fun and healthy. It is made of beef, kasha and green beans, topped with some gravy and served with a few cheese flowers. Frog princess! 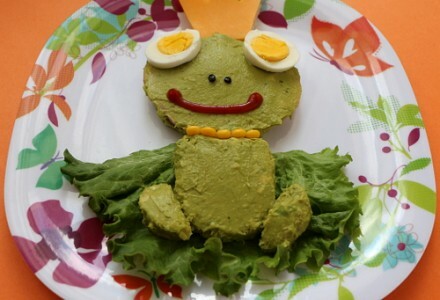 How cute is that :) This froggy sandwich is made of bread, ham, avocado, egg, cheese and served on a green salad. Miam! 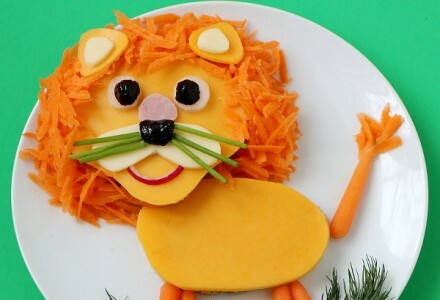 Irresistible lion shaped sandwich, which is made of bread, cheese, carrots and some other veggies. Let your kids participate in the preparations and have fun! 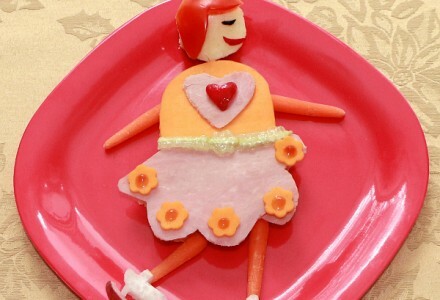 Beautiful skating kiddie sandwich that is made of bread, ham, cheese, radish, tomato and carrots. Great sandwich idea for kids that are into skating!